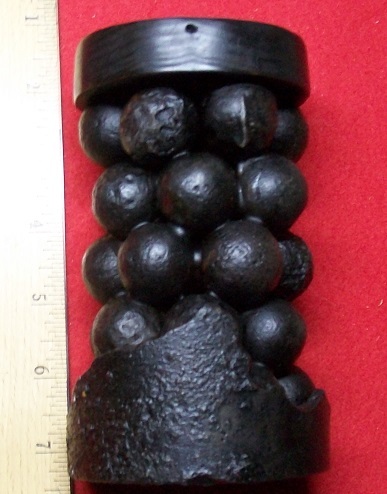 12mm Pinfire Pistol. Nice grips. Action works well. Nice engraving. 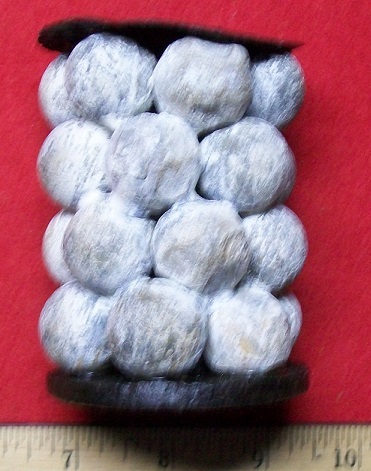 Grips in good shape. 3.4" Sawyer. 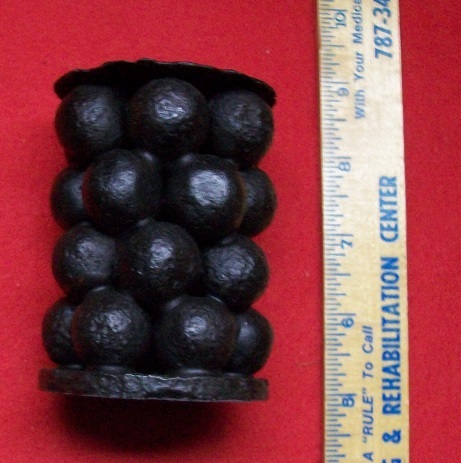 One of the few Cannister rounds that was actually in a "can". Reconstructed from parts from Shiloh/Cornith. Top is wood and not from the period. This is a rare item. Seven Months a Prisoner. J V Hadley. Autographed by the author. Newspaper clipping concerning the author. Has been repair by a prefessional book repair firm. 9 Stone Mountain Half Dollars. Dated 1925. Jackson & Lee on the front. From the cargo of Anglo-Blockade Runner- Minna. Captured December 6th, 1863 of Wilmington. Captured by the Government dispatch Ship- Circassian. The cargo of this ship was autioned off and divided as Prize Money among the ships that captured it. 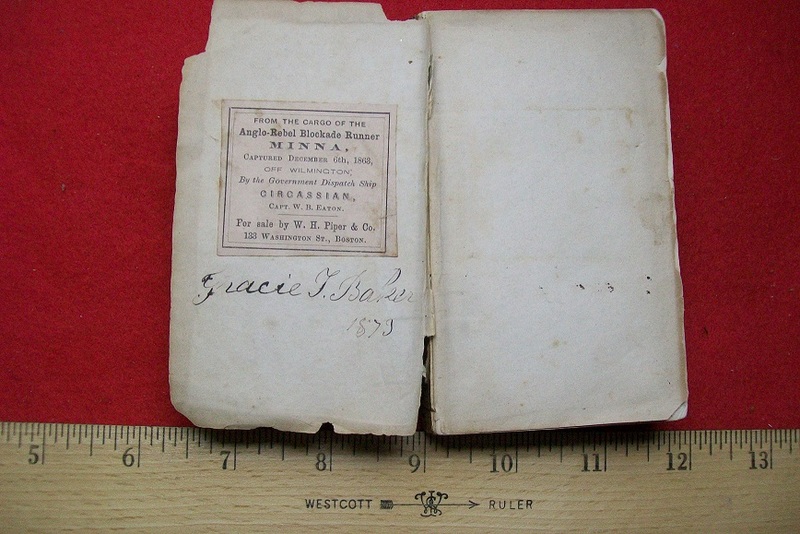 Bible is from England and captured and dated 1863. The front Cover is missing. This is really a nice item. POW Camp Morton Indianapolis. Release for Alford Groe(?) La Batty. He took the Oath to the United States and released on 1/2/63. I live in Indy and Camp Morton items are very hard to find. 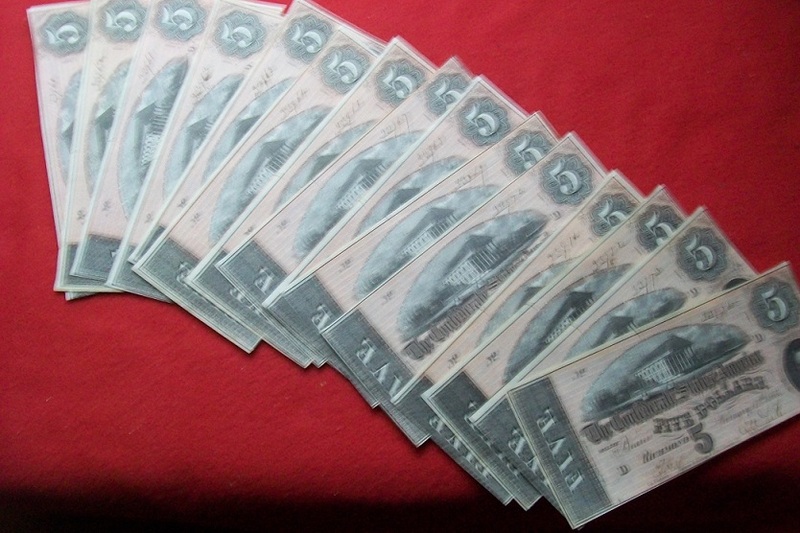 2 paper splits with tape on reverse. 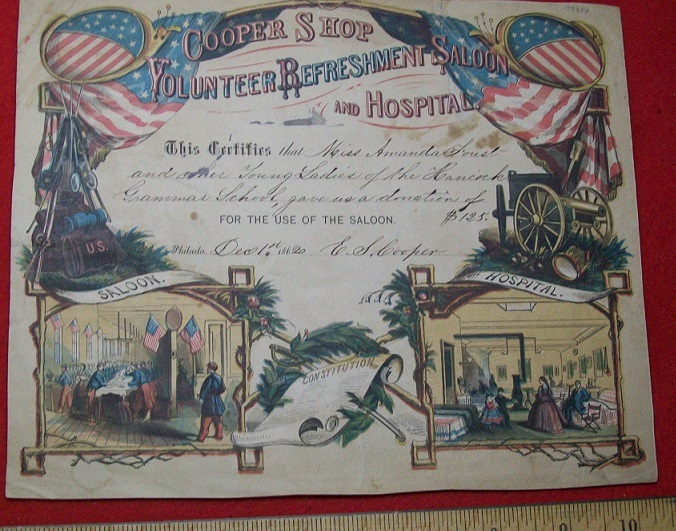 Cooper Shop Volunteer Refreshment certificate. Thanks the young ladies of Hancock Grammer school for $125. Signed by ES Cooper. Great color. 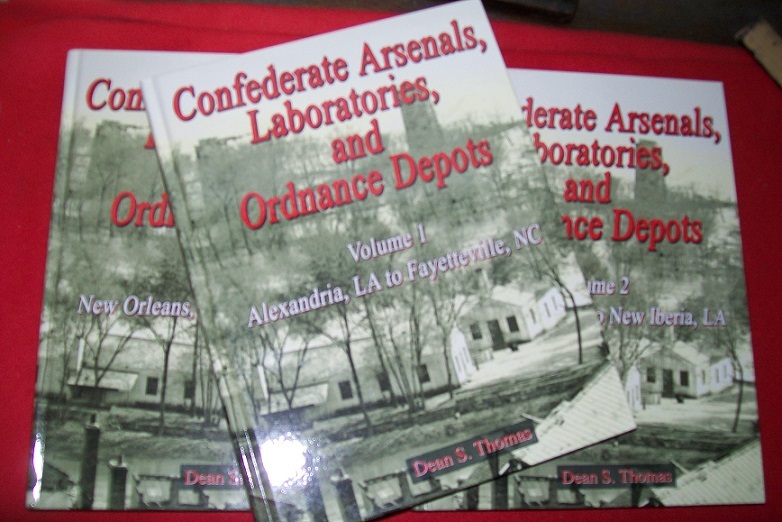 Confederate Arsenals, Laboratories, ansd Ordnance Depots. 3 volumes. This is the definitive reference in this area. I happened to get a good deal on these and the 3 books are a total of $120- which is almost half price. CSA Blockade Runner Stock. 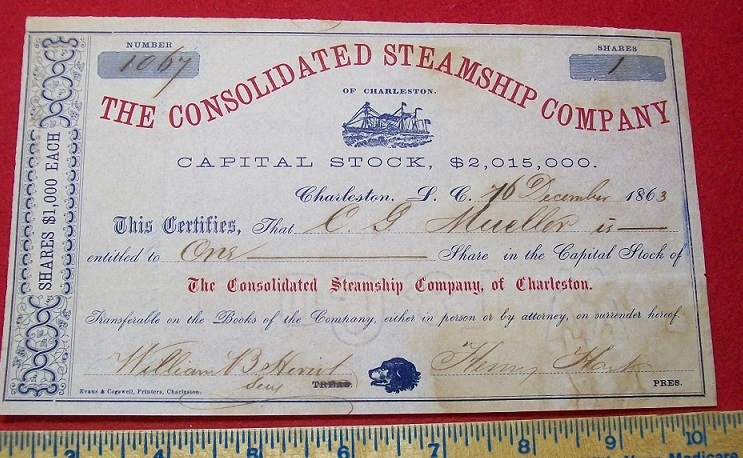 The Consolidated Steamship Company. Charleston. Stock number 1067. 1 share. Light foxing. Rare item. 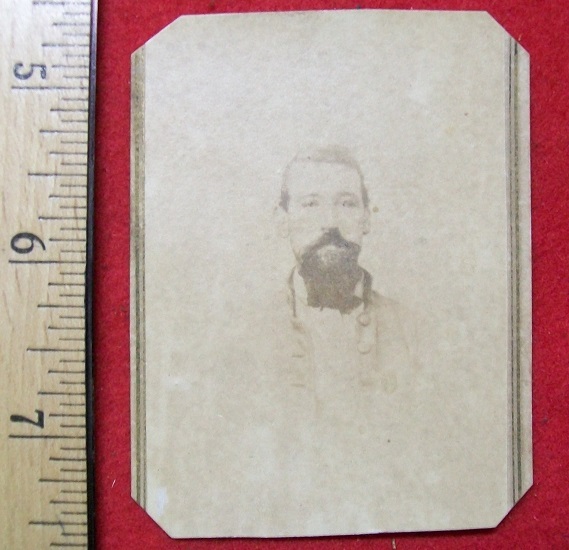 CSA Generals CDV. 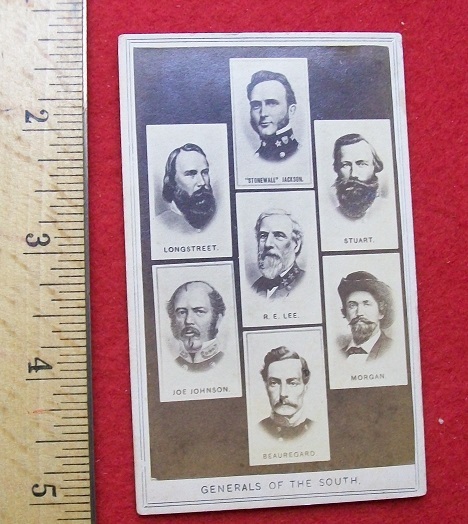 Lee, Jackson, Stuart, Longstreet. Morgan, Johnson, and Beauregard. Excellent shape. No backmark. 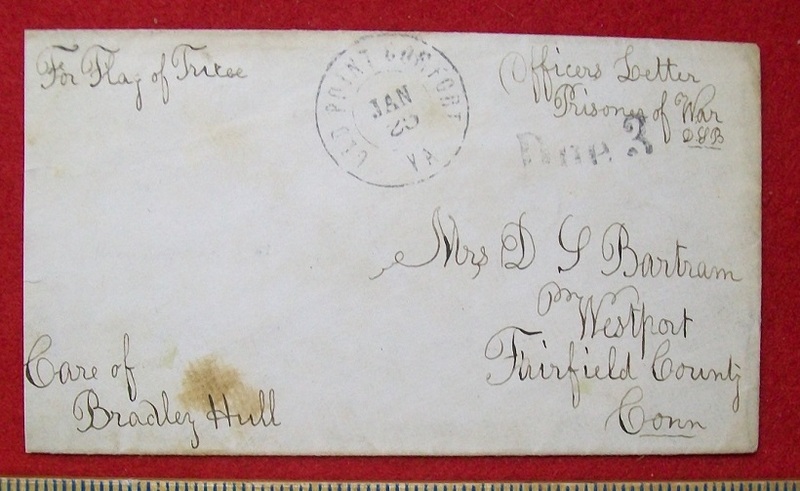 CSA Secretary of War George Randolph autograph. Confederate States of America, War Department , July 10th, 1864. Appointment to Major. Bold strong autogrph. 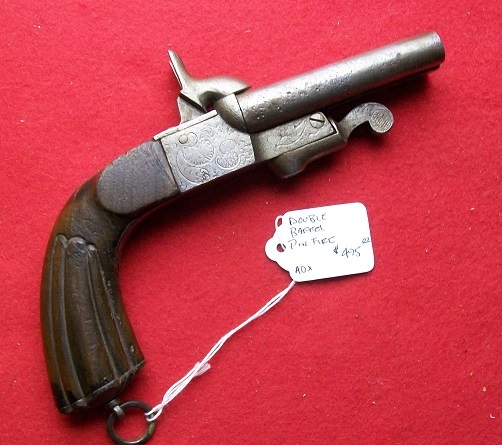 Smaller double barrel Pin Fire Pistol. Barrels side by side. Lever under the barrels swings over to "break" the barrels for reload. 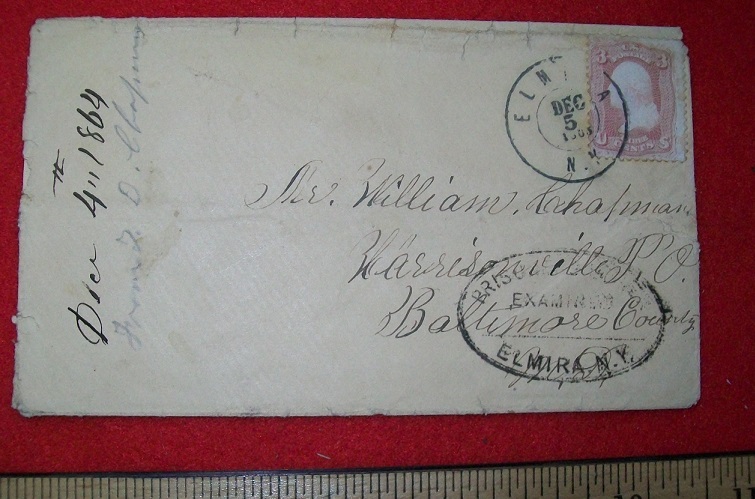 Examined Cover from Elmira POW Prison in Elmira NY. 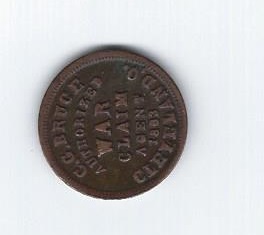 Date on Cancell from Elmira Post Office is 12.5.64.strong Prisoner of War Stamp or the mailing address. One of the worst prisoner death rates of the War. 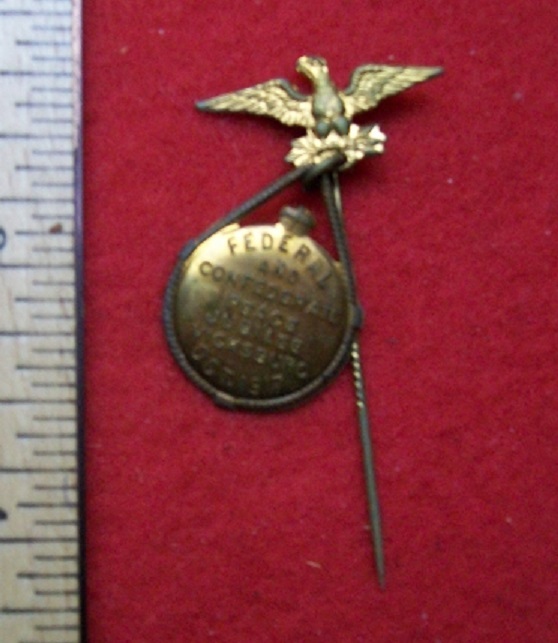 Federal and Confederate Peace Jubilee pin. Vicksburg 1917. 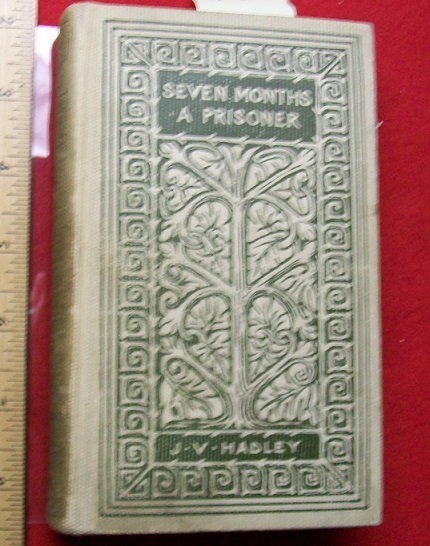 Libby Prison Cover. 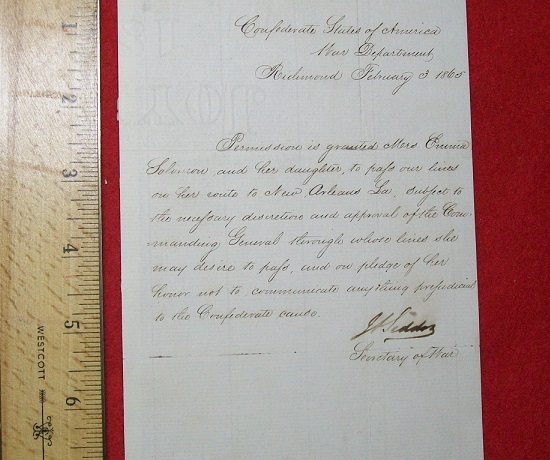 To Mrs. D S Bartram in Conn. From her husband, Lt. David Bartram at Libby Prison. Bartram was captured at Gettysburg and was held in 8 different POW Camps. 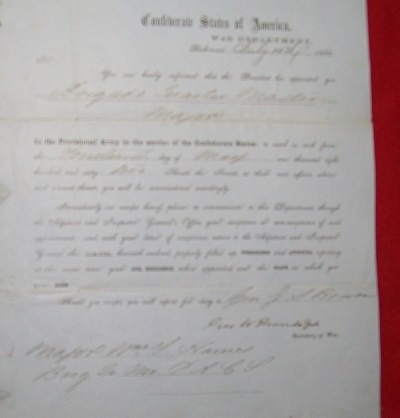 Top - Flag of Truce/ Officer Letter/Prisoner of War. Stamped Old Point Comfort. Due 3 stamp. 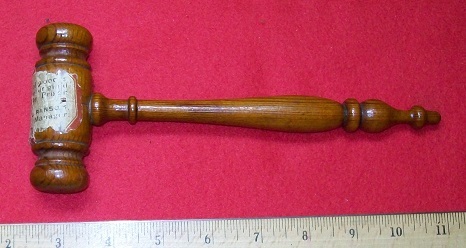 Libby Prison Gavel wood. Full documentation. 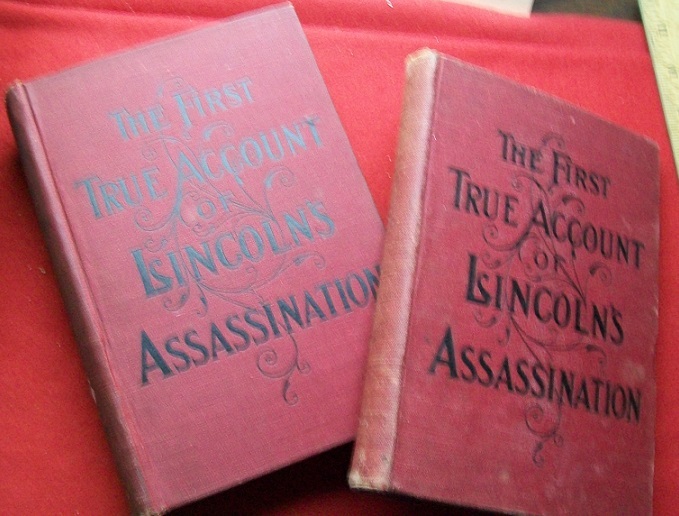 The First True Account of Lincoln's Assassination. Finis Bates. This is the book and the Salesman Sample book. Both together and in good shape. 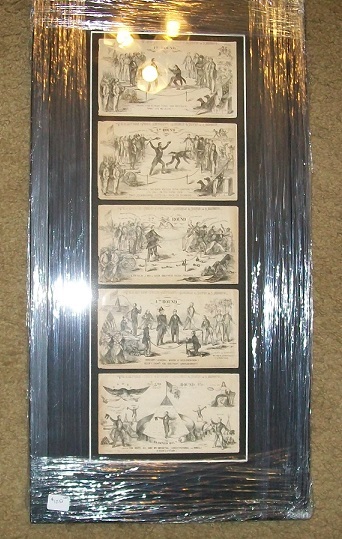 Abraham Lincoln framed grouping. 2 cardstock paper Mourning Cards. 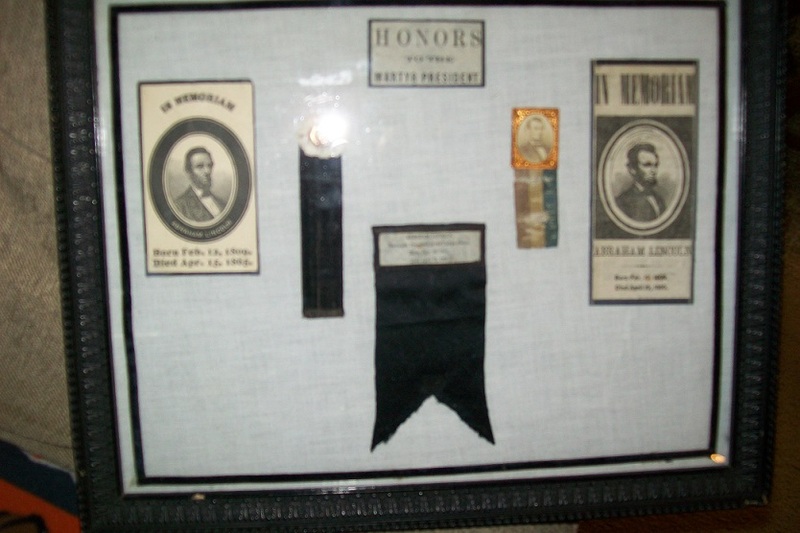 Two black Morning ribbons with Lincoln button. Nice Campaing Badge/ribbon. 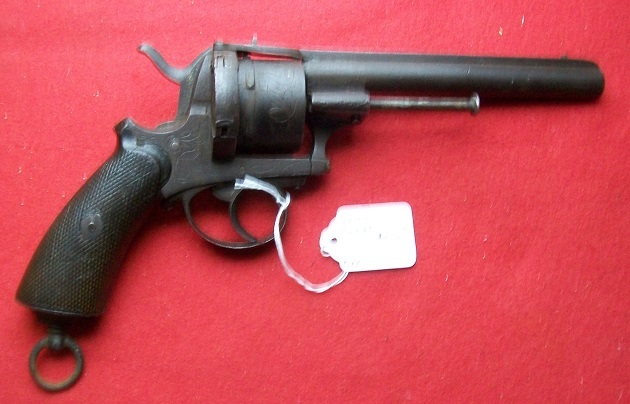 Over/Under 2 barrel Pistol. Action works well. 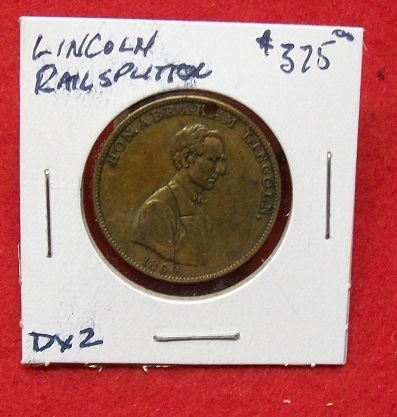 Purchased at Cornith, Ms.
Lincoln Railsplitter of the West. 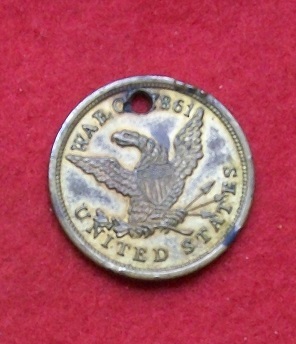 Famous campaign token. Front- Lincoln. Reverse- Lincoln splitting rails in front of a Log Cabin. Token is holed at top. The Reunion of the Blue and the Gray. 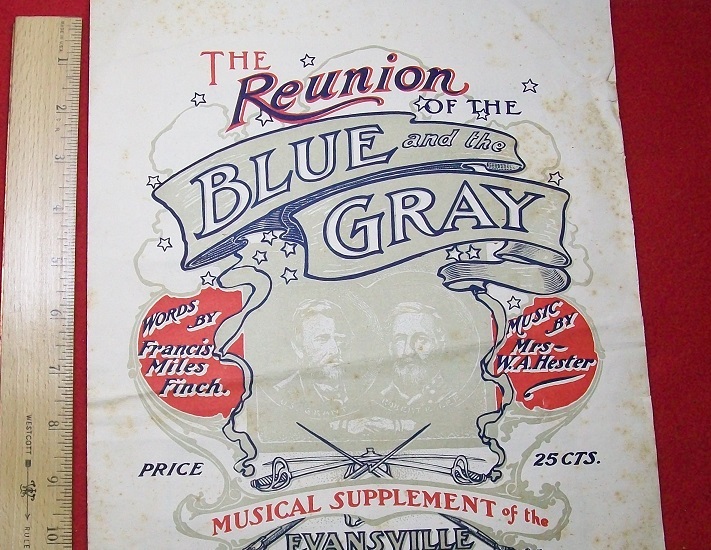 Musical Supplement of the Evansville Courier. Evansville, Indiana. Oct 11, 1899. Nice color on the front. CSA Secretary of War James Seddon signed Pass. Emma Solomon and daughter to pass our lines to New Orleans. Not to disclose any information on route. Not a form Pass. Signature slightly smudged. 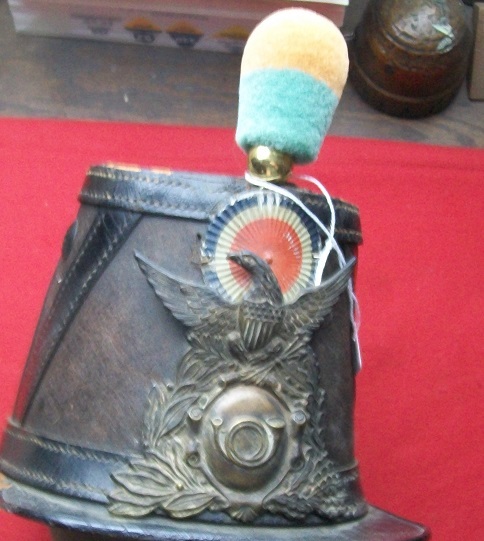 Civil War era Shako Hat. 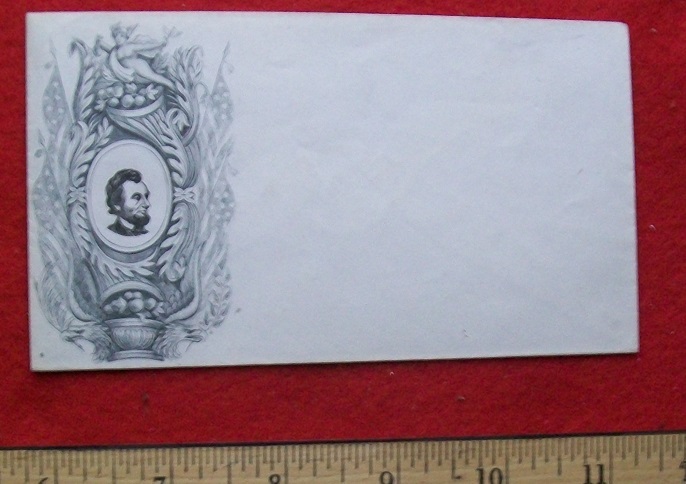 No ship strap but a large sixe 4 1/2 stamped on the inside. 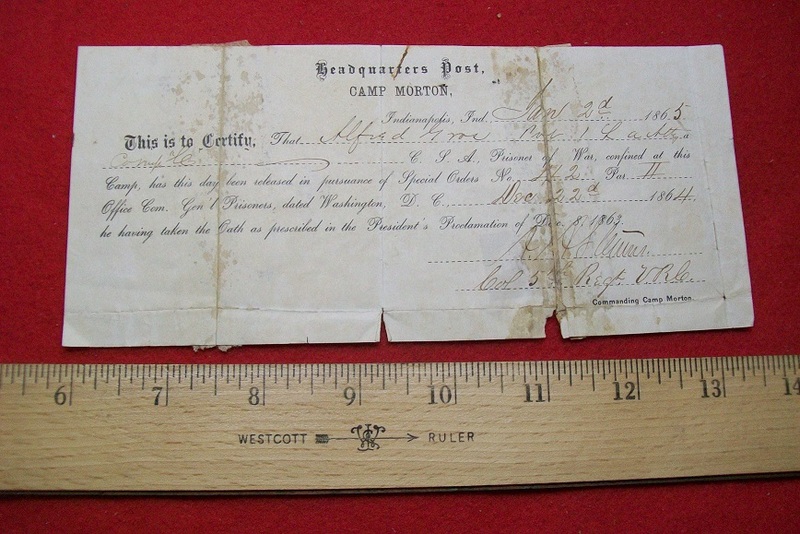 A section of paper glued to the top (about the size of a silver dollar) that probably had some great info on the hat- not readable. Has some issues but is priced as such. Southern Churchman. Richmond Va. 2/1/1865. Spirit of Missions, faith in spite of clouds, education of children of dead soldiers, appeal to the poor, Jefferson Davis asks for a day of Fasting and prayer. 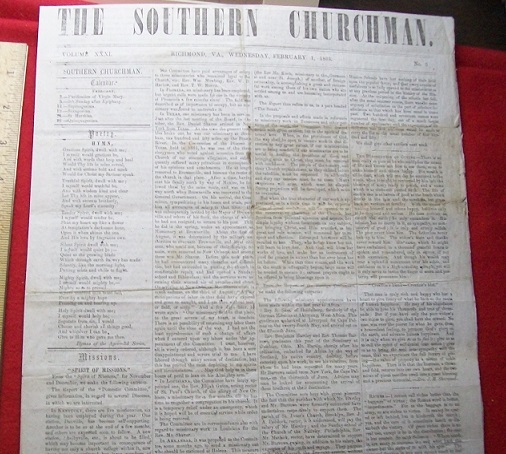 4 pages full of southern news. 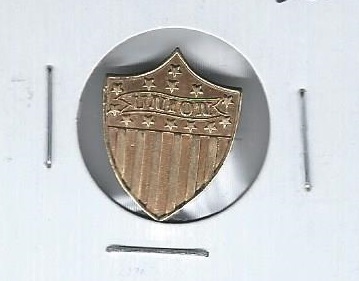 Stonewall Jackson Medal. Made in France and run thru the Blockade. Never got to his troops. 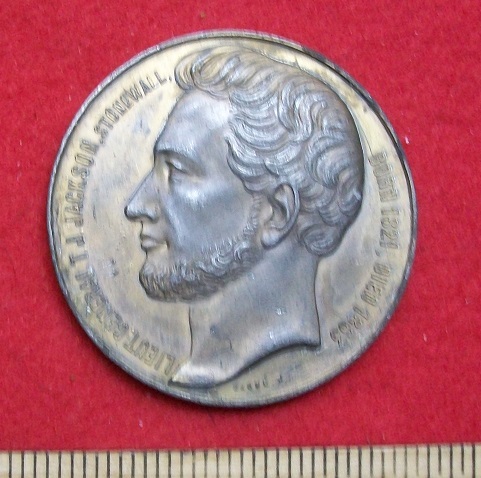 This has a bronze "wash" on it. It also as rim damage just over the back of his head. Priced with those fact noted. 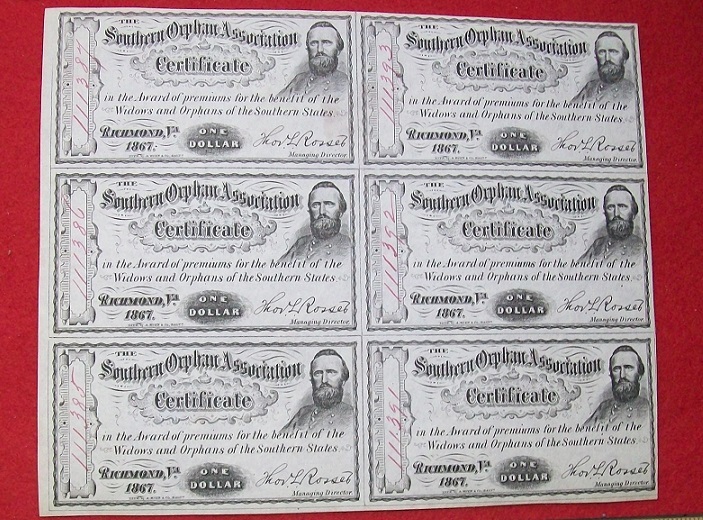 6 Southern Orphan Association Certificates in a block. 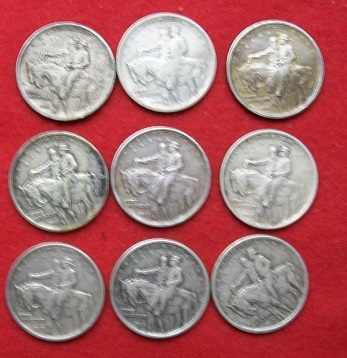 Nice image of Stonewall Jackson on each. This is 1/4 of a sheet (sheet has 24). 2 sets of 3 consectutive certificates. 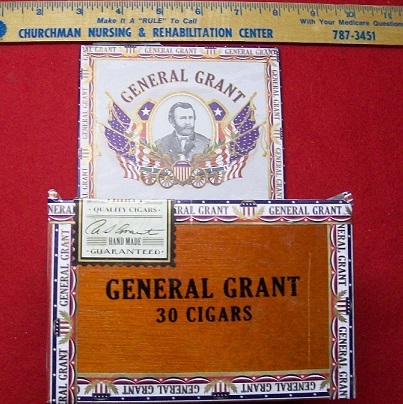 Cigar Box with U S Grant. This is not old but is cool. It held 30 Dominican Republic. Nice color and in great shape. 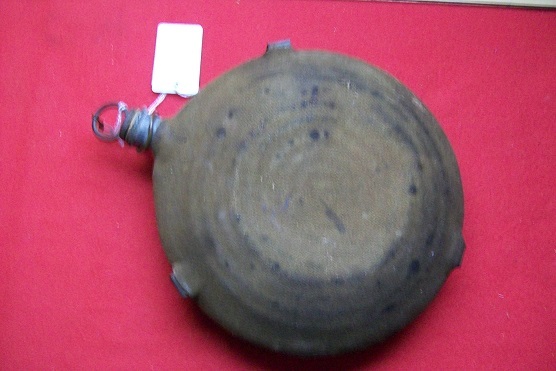 Wiard Cannister. Reconstructed from parts from Cornith/Shiloh. Smaller size/ All parts correct. 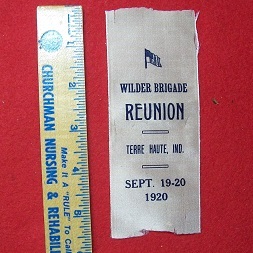 Wilder Brigade Reunion Ribbon. Terre Haute Ind. Sept 19-20, 1920. Famous unit.